Boat. Swim. Relax. Enjoy. This dazzling three bedroom (4th bedroom option) home located on a deep-water canal embraces the southwest Florida lifestyle with charm, finesse, and style. 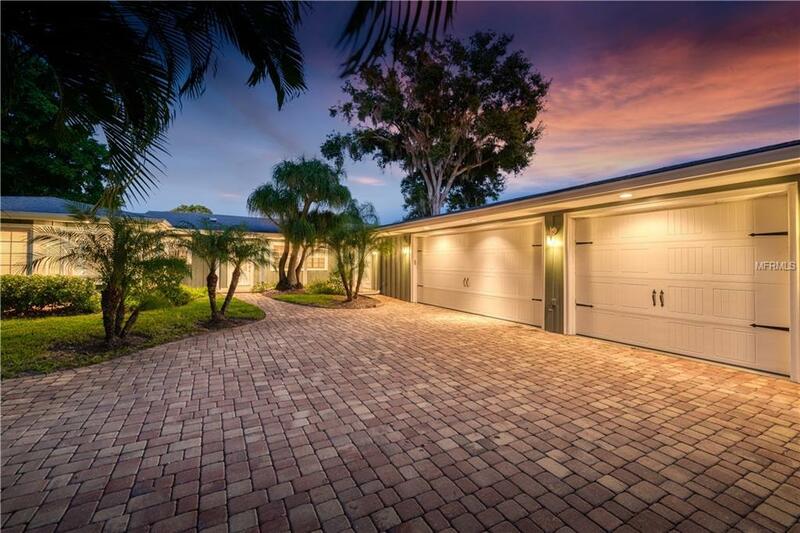 Situated in the West of Trail community of Coral Cove, the expertly renovated residence exudes elegance and beauty but is nonetheless welcoming and approachable. Step inside to discover the living/great room with high ceilings, exquisite wood flooring, gas fireplace, and an expanse of French doors with plantation shutters that lead to the lanai. The kitchen is a true showpiece, complete with granite countertops, 8x12 center island, Wolf gas cooktop, wine storage, wood cabinetry, and stainless steel appliances. Wake up to peaceful pool and canal views from your master suite, with a gracefully remodeled bath and walk-in closet for sumptuous comfort. An enclosed lanai is ideally set up for dining in the breeze, reading the latest New York Times bestseller, or enjoying the company of loved ones. Refresh and rejuvenate by your waterfront pool surrounded by tropical plantings and a pavered deck. A dock and 14,000 lb boat lift will accommodate your vessels with ease, with a swift cruise through canals connecting you to the Intracoastal Waterway and Little Sarasota Bay. A three-car garage completes the picture. The Coral Cove community is centrally positioned near Siesta Key, Venice, downtown Sarasota and the dazzling Gulf beaches, placing the very best of Sarasota living at your doorstep.